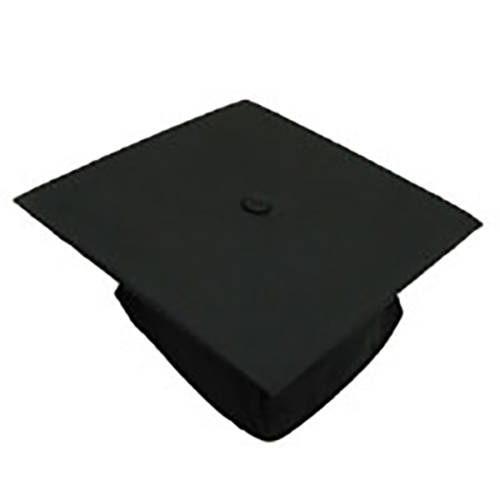 Black mortarboard cap is worn for all undergraduate degrees and master degrees. Caps are produced with Renew Fabric, which is made from Repreve yarn from 100% certified recycled post-consumer materials. Front of the cap is indicated inside the crown. Made in the USA. One size fits most average head sizes. Size XL cap is also available. Size XL black mortarboard cap is worn for all undergraduate degrees and master degrees. Caps are produced with Renew Fabric, which is made from Repreve yarn from 100% certified recycled post-consumer materials. Front of the cap is indicated inside the crown. Made in the USA. Oversized XL cap stretches to fit. 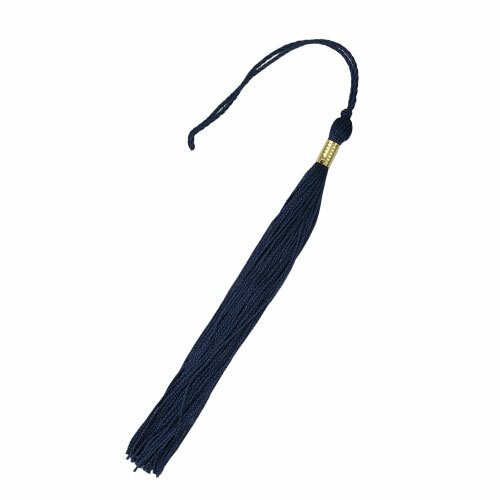 Tassel color is determined by degree. 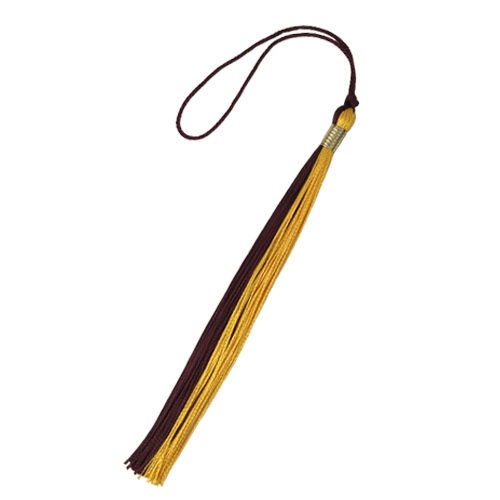 CLICK HERE for a list of undergraduate degrees and their corresponding tassel color. This page is for information only. To make your purchase, please click the link above or return to the Graduation Cap page and select an individual tassel to add it to your cart. 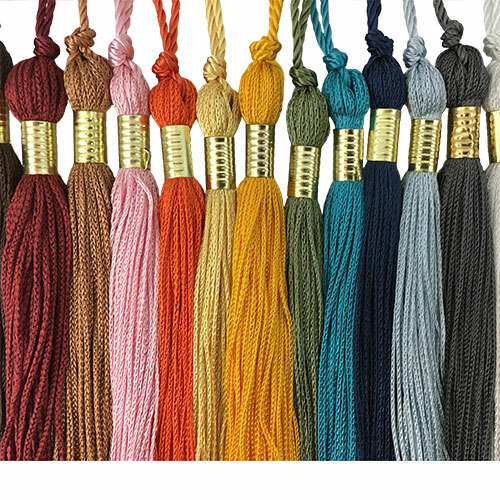 Please select option for Find Your Tassel Color for Undergraduate Degrees. 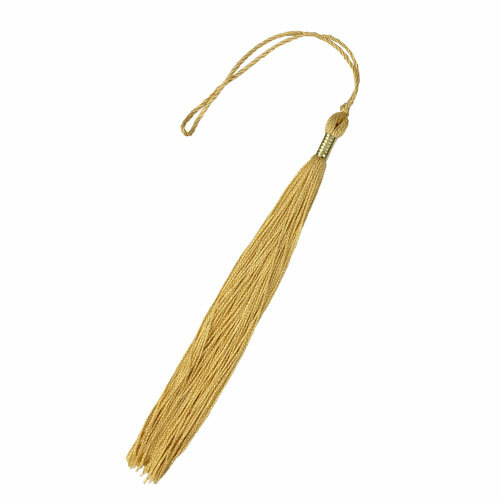 Decorative tassel, in UMD school colors, includes gold-tone 2019 signet. Can be added to a diploma frame, memory book, or other decorative use. Looking for your tassel for commencement? Find the tassel color you need HERE. 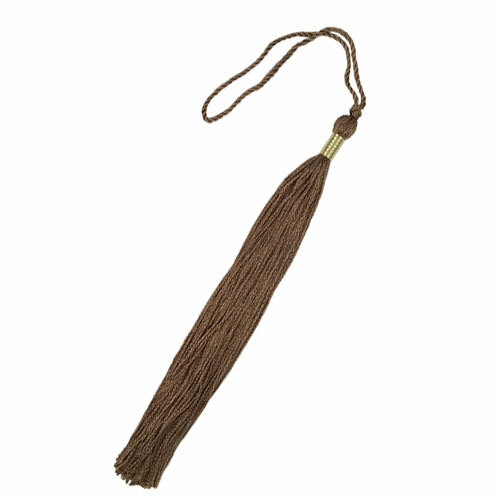 All Masters Degree candidates wear a black tassel. Don't see your degree listed above? Find the tassel color you need HERE.